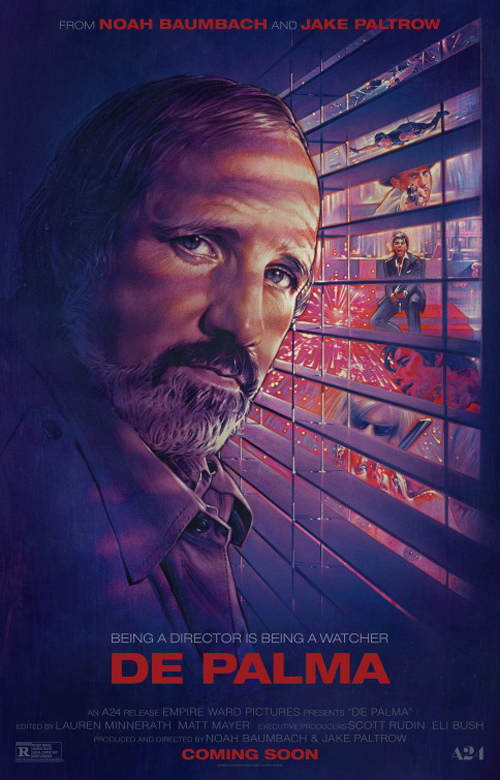 If nothing else, De Palma, Noah Baumbach and Jake Paltrow’s documentary on the visionary director (“visionary” is an over worn adjective to daub on auteur-related movie posters, but if there’s one director who’s all about vision, it’s Brian De Palma) is a reminder of how few cinematic craftsman today possess a truly distinctive style. More than that, who embrace a distinctive filmic language; De Palma openly acknowledges his debt to Hitchcock, but quite rightly has a different take to those who accuse him of being little more than a copycat; the real surprise should be that he’s the only one who really followed and developed the form Hitch created. For a piece on a master of the set-piece flourish, the meticulously, intricately-crafted tension teaser, Baumbach and Paltrow have settled on the most straightforward, linear approach possible, but it scarcely matters. 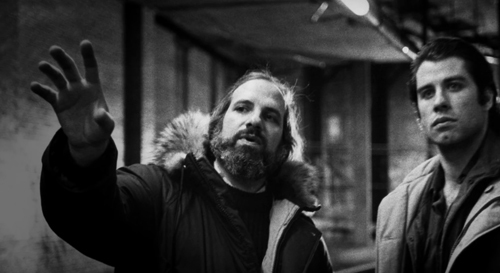 Sit De Palma down and have him go through his career in sequence, anecdotalising the productions, the state of the industry generally and his own outlook on where he was and where he is. There’s much that’s familiar herein (his warped family background, in particular, including his father’s affairs that informed Dressed to Kill’s young protagonist, and how De Palma used to go and watch him, an orthopaedic surgeon, operate). What I wasn’t prepared for was the sheer good-humoured exuberance of the man. He seems able to see the funny side of most things. Yet, while you can certainly see his twisted wit in some of his vehicles (any time he casts John Lithgow, in particular), give him something more expressly comedic or satirical (Wise Guys, Bonfire of the Vanities) and the results tend to come up short. I think it was The Untouchables that first got me into De Palma, and I have to admit there are still several of his earliest pictures I’ve yet to get round to catching. 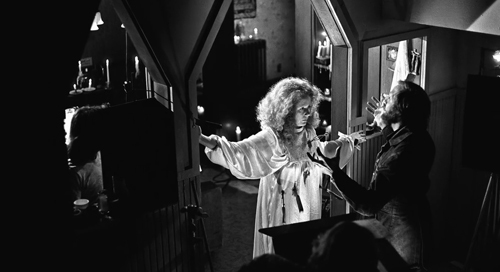 Perhaps because I discovered him at the point of his studio renaissance, some of his earlier, unleashed horror-thrillers leave a more variable impression, sometimes absolutely working, sometimes excessive in the wrong ways, but always displaying astonishing virtuosity. I can appreciate both the arguments relating to the apparent misogyny in his narratives and his own well-thumbed excuse that women imperilled are simply more cinematically interesting (as to his confession that he likes to follow them around, well…), but his detours into more mainstream fare, be it the gangster or action genre, rather disprove the latter. What De Palma rarely is as a director is boring (there are a few; for all its style, Obsession tends to have an anaesthetic effect on me – it may just be the Cliff Robertson factor). As he notes of his most controversial, critic- and censor-baiting period, “The fact that Pauline liked me made people argue about me constantly”. 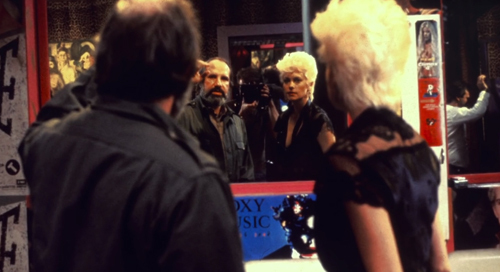 Kael was De Palma’s staunchest defender, and at times did seem to be pulling him singlehandedly through a minefield of his own knee-jerk devising (Body Double was precisely designed to inflame his most vehement critics). 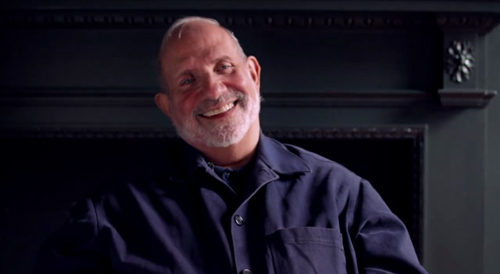 De Palma: You have to know where everything is. How close is the jeopardy? I’m scrupulous about that. In the era of shakycam (albeit, its proliferation isn’t quite as disruptive as it was at its zenith), every one of its adherents should be sat down à la Alex in A Clockwork Orange and forced to watch De Palma’s approach to action, because not only is he mesmerisingly distinctive in how sees space and juggles the different elements that comprise a sequence, he’s also entirely coherent in terms of geography. With often breath-taking results. As he says of his groundwork, “In my movies the run up goes on forever”. Take a gander at the prom queen scene in Carrie, or the art gallery dalliance in Dressed to Kill, the “Odessa Steps” in The Untouchables and the subway chase in Carlito’s Way, and prepare to be staggered by the bravura craftsmanship of his constructions every time. It’s interesting to hear De Palma discuss his use of trademarks, such as how he discovered split screen didn’t work for action and his yen for Steadicam (in particular first using it for Blow Out, and also on executing that film’s famous 360 degree shot), but best of all are his anecdotes: on Orson Welles (he needed cue cards; De Palma, formerly in awe of the titan, considered “This is sloppy”) Bernard Herrman (“He was scary”), Cliff Robertson (Vilmos Zigmond backing the actor up to a mahogany wall and exclaiming, of his perma-tan, “You are the same colour as this wall! How can I light you?”), execs’ responses – to the downbeat ending of Blow Out (“They were appalled”), to Body Double generally (he had carte blanche “Until they saw it”) – Oliver Stone (De Palma had him taken off the Scarface set because he was talking to the actors), De Niro (surprisingly, not learning his lines on The Untouchables), Casualties of War generally (“Good old Sean” he says, of Penn’s “in the name of the art” mistreatment of Michael J Fox), Bonfire of the Vanities (he considers the movie is fine, “just don’t read the book”) Carlito’s Way (Pacino having finally had enough after having been forced to run around all night in a huge sweaty leather coat at the height of summer: “Al took the train home. He thinks you’re crazy”) his original ending to Snake Eyes (“Nobody thought it worked”), dealing with Mission to Mars’ special effects (“endless repetition”, and tipping his hat to them, but being unable to understand how Spielberg and Zemeckis do it). Oh, and how he finds car chases boring. We also hear a steady stream of stoic disappointments at the failures of his pictures to strike a nerve with audiences: “I can’t make a better movie than this” (Carlito) “Nobody went to see it – it was a terrible disappointment” (Casualties). Certainly, he’s a director very much identified as relying on periodic hits to kick start the ever-lurking phantom of unbankability. However, it’s notable that many of his best works are those where he decided he had to do something in aid of such commercial clout (Carrie, The Untouchables); I do think he’s at his best when married with really strong material that isn’t of his own devising or predilections, the odd exception aside, even if in later years he came a cropper with a series of questionable high-profile choices (Mission to Mars, The Black Dahlia). The director’s also sanguine about where he is now (it’s five years since he directed, and it was three when De Palma was made). He comments that 99% of those who try making movies are going nowhere, and “anybody who has a career, it’s a miracle”, that there’s nothing good about the Hollywood system, in terms of creativity. 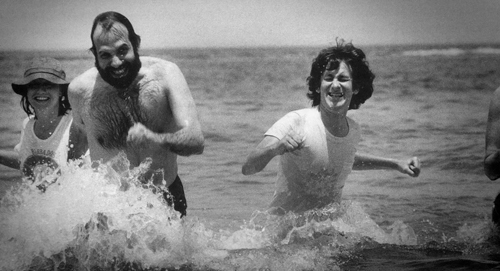 And, drawing on the example of Hitchcock, De Palma suggests that, in most cases, it is during their 30s, 40s and 50s that directors are at their peak, that it “physically wears you down, no question about it”. He’s probably right. There’s the occasional exception, sure (Mad Max: Fury Road), but even those who still churning them out (Spielberg, Scorsese, Ridley Scott) are often doing so with consistent technical skill but noticeably less passion or intent than hitherto. Still, I hope De Palma has a few more good pictures left in him, although like so many of his era, the difficulty is now more about getting the backing than a good idea.